The northern Lake District has a lot to offer, and if you have far to travel to reach the Lakes it can sometimes be a part that gets missed, particularly some of the harder to reach parts. But if you have a base to explore from such as one of our Lake District holiday parks here at Pure Leisure, then that makes things much more convenient when it comes to exploring more of what the Lakes have to offer! With that in mind, we’ve put together a bit of a guide to some of the best places to explore in the North Lakes! 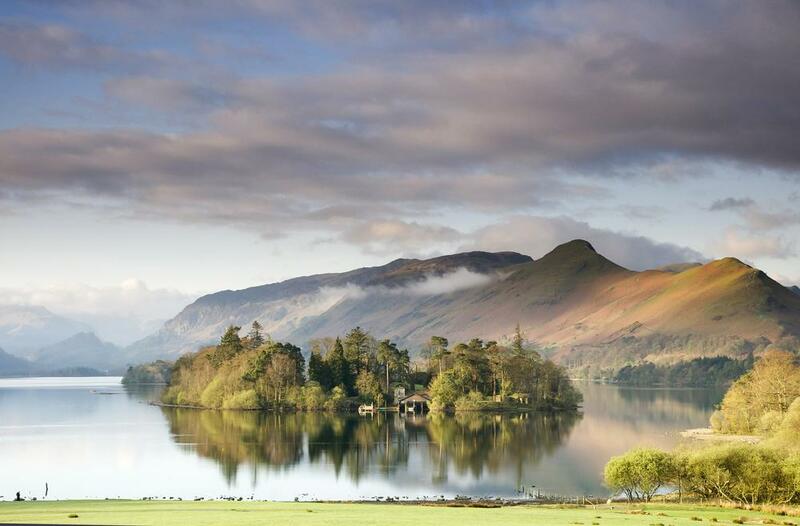 If you love the theatre, then what better location to indulge in it than surrounded by the beauty of the Lake District? It’s located right on the shore of Derwentwater, in a wonderful spot that makes enjoying the arts all the more magical. They put on some truly special performances, so whatever time of year you go you can always find something wonderful to watch. Over the festive period they had a performance of Laurence Boswell’s adaptation of Beauty and the Beast, and in 2019 they will welcome Ian McKellen for his birthday stage tour, which is not to be missed. Dalemain is one of the North of England’s most beautiful stately homes, and is home to beautiful gardens and woodlands to walk through, as well as the world’s original Marmalade Awards, which are ever so unique. The Homemade Marmalade Awards are a part of the Dalemain Festival, and all of the judging fun will take place again in 2019! The Dalemain settlement has a long history and there are lots of interesting things to keep your eyes peeled for if you pay a visit, such as Mrs Mouse, Dalemain’s smallest resident, a sleeping giant and a topiary dragon in the low garden and a priest’s hiding hole in the house! Lowther Castle might just be the perfect family day out, as there is plenty to keep everybody busy. There’s a café for refreshments, a large garden to walk in (you can even hire bikes! ), and a playground for children to let off some stream. And of course, there are the ruins of the castle itself, which are well worth coming to see in all their splendour. The playground is unlike any other you will have visited recently, and is also one of the largest in the country. They also put on events throughout the year, from Christmas markets and craft workshops, to exhibitions and garden tours. This ancient stone circle is well worth visiting, and you’ll find it near Keswick. It’s one of the most impressive prehistoric monuments in Britain and draws thousands of people to enjoy it every year, but if you’re lucky, you could occasionally find yourself there alone. It’s one of the most atmospheric stone circles you could hope to visit, surrounded by panoramic views of the surrounding mountains of Helvellyn and High Seat. If you love a good whiskey, vodka or gin, then the Lakes Distillery is a great place to visit and one of the most unique experiences in the Lake District. You can take a tour of the distillery, book a tasting, and even meet some alpacas! There is also a bistro where you can enjoy cake, lunch, or full afternoon tea, as well as a three-course evening meal! We hope this has given you some inspiration for things to do in the northern part of the Lake District if you’re planning your next visit. Do be sure to get in touch with us to find out the availability of our parks!